Sweet, Sticky & Spicy! Everything you need from niblet to kernel. Combine the butter, honey and haitian sensation chilli sauce together. Place each corn cob into a piece of foil, if it's thin foil then think about double wrapping to keep all the juicy butter with the corn. Brush liberally each piece of corn with the butter and divide any left over butter between the corns before selling at each end. 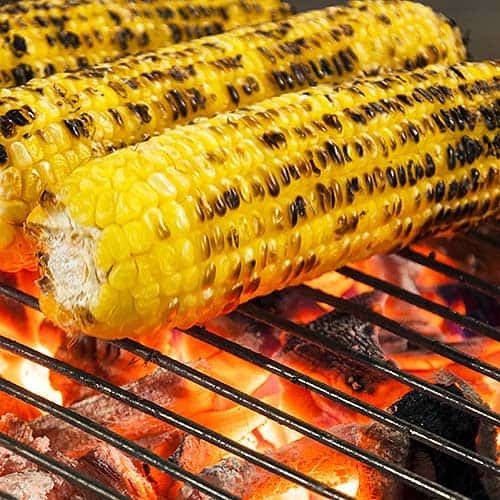 Place in the barbeque, turn every few minutes and cook for 25 Minutes. If you like your corn slightly charred remove from the foil delicately to reserve the butter and cook until desired. Pour over the butter and serve.